People have been creating ceramic pieces since as early as 24,000 B.C. Ceramics can be anything from artware to figurines to sculptures to tableware. Pieces can be plain or intricate depending on the artist’s design. 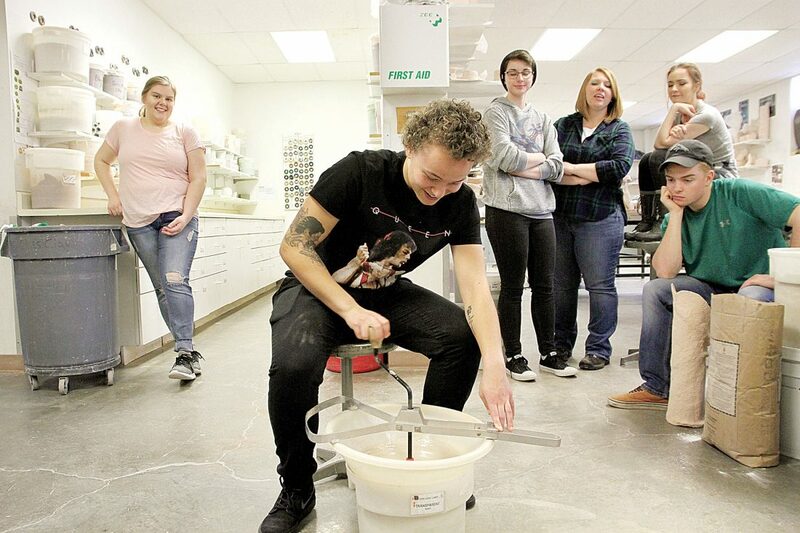 To continue the artistic practice, Minot State University has opened its ceramics studio to offer classes on the topic and allow for community members to try their hand at the art for the next few weeks in their Ceramics Open Studio sessions. These sessions will give anyone of any age a chance to try out something new while creating a piece all their own. 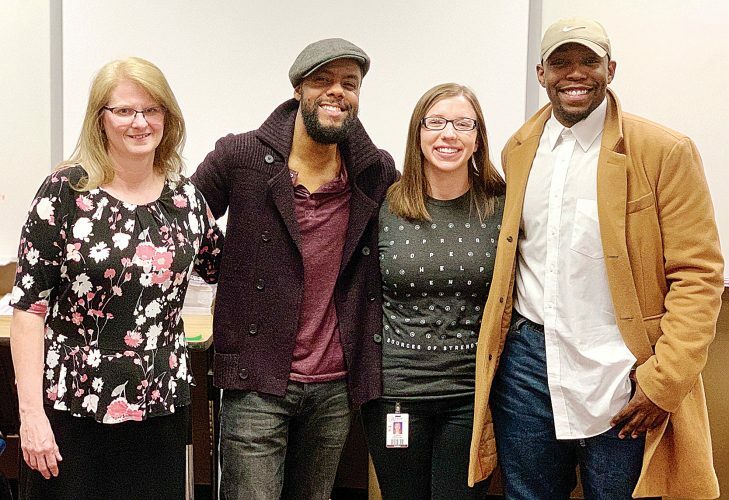 “With these formal demonstrations and help, most participants have made ceramic items of which they are quite proud,” explained MSU Professor Linda Olson. Sessions began on Feb. 4 with Basic Hand-Building Techniques, but people may attend whichever ones they want. Week two will take place on Monday with a focus on Basic Throwing Techniques for those with some clay experience. Submitted photos MSU’s Open Studio classes for ceramics will give interested participants like the ones pictured here a chance to learn a variety of ceramic skills, such as hand building techniques, throwing techniques, slip casting techniques, and more. Week three will be on Feb. 18 and will cover Slip-Casting Techniques and Week four will offer two different classes with one on March 11 and the other on March 18. Week four will cover Glazing Techniques. Week five won’t hold any lessons but instead be a pot luck, art pick-up, and artwork share on March 25 for those who participated. Every session starts at 6 p.m. and takes place at Pioneer Hall on the Minot State University campus. Ceramics Open Studio have been offered for several years with the last one being held in 2017. They were started after there was a request for something to help people gain some ceramics experience. It was quickly seen as a positive community activity and held again. “We are excited to offer it to the public again,” said Olson. The classes will also do more than just give participants a chance to experience something new or to continue their ceramics learning. 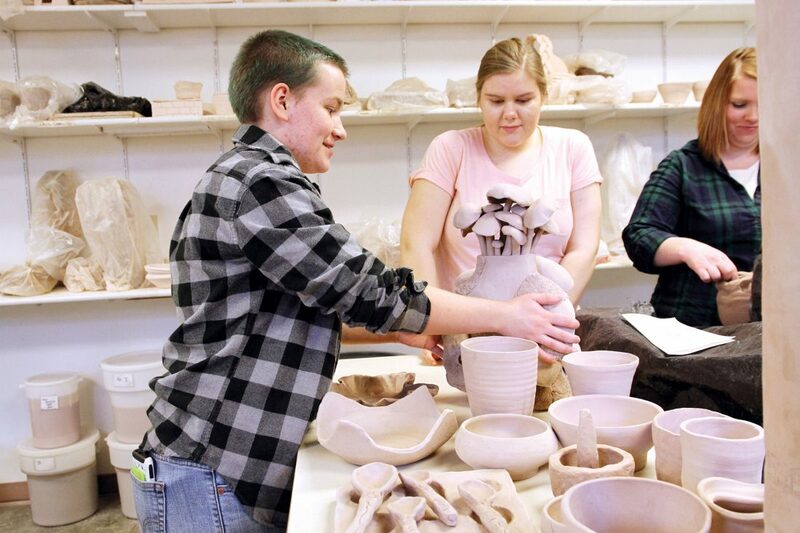 Students of MSU who are pursuing a ceramics major or a teaching major will be given the opportunity to gain teaching experience as they are there to help participants as needed. Each session costs $20 for adults, $10 with an MSU ID or for students, and $5 for those who are 12 years of age and younger. An adult must accompany someone who is 12 years old or younger. If you attend two or more, the Week Four sessions on March 11 and March 18 will be free to attend. The sessions are topped at 15 participants and MSU will accept the first 15 to sign up. Submitted Photo Minot State University has opened its ceramics studio to the public and is offering classes to anyone interested. 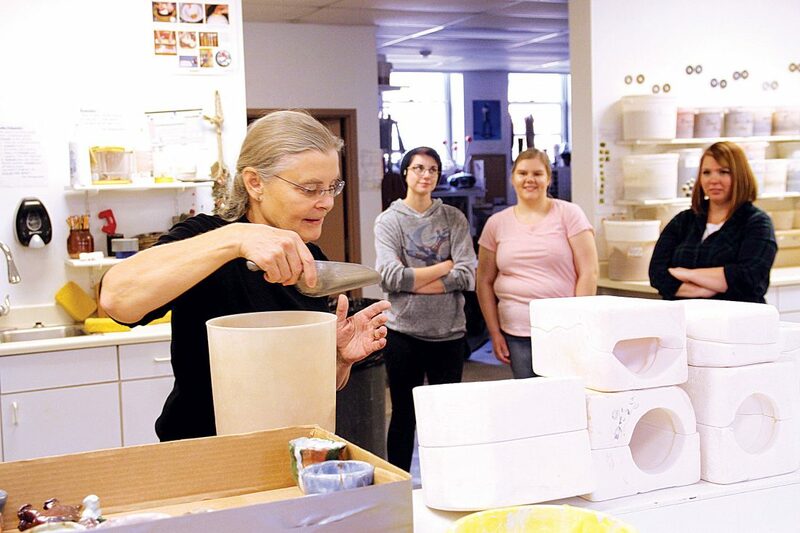 Those interested in attending to gain the ceramic experience the Ceramics Open Studios offer can email Linda Olson at Linda.A.Olson@NDUS.edu with the dates of the sessions you would like to attend. Submitted Photo 4-H members from various areas took part in the Northwest District 4-H Archery Match held in Minot Feb. 2. Elizabeth Kraft of Minot was among several 4-H members representing Ward County in the Beginner Freestyle division at the Northwest District 4-H Match. Teagan Strilcov, a 4-H member from Minot, competed in the Junior Freestyle Division at the Northwest District 4-H Archery Match.